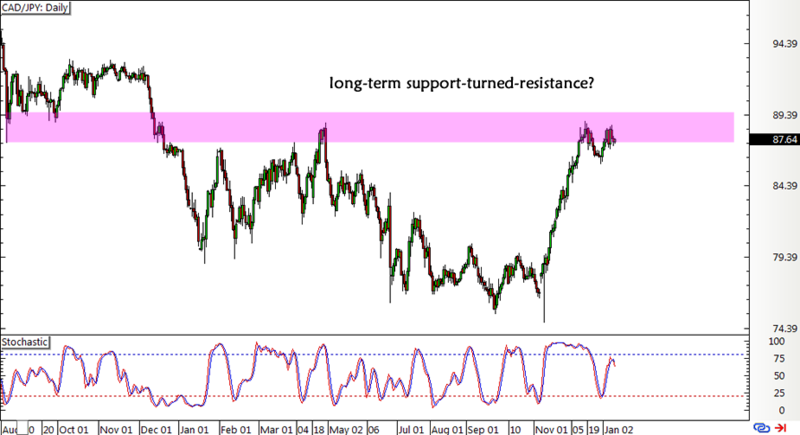 Multiple time frame tech analysis tells me that CAD/JPY might be in for a drop, but the long-term oil outlook suggests that the Loonie could be in for more gains. Where do you think this pair might go? I’m seeing a large double top formation on the pair’s 4-hour time frame, signaling that price is already exhausted from the climb and might be looking to head back down from here. 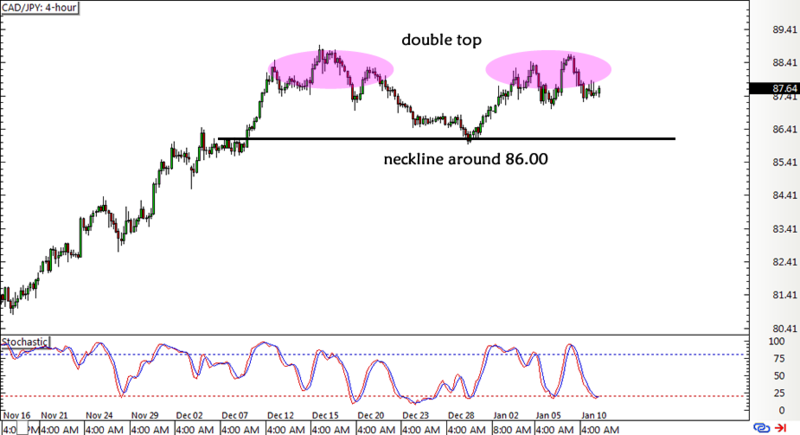 CAD/JPY has yet to break below the neckline at the 86.00 major psychological level before confirming this potential long-term downtrend, but I’m also spotting a tiny smaller double top pattern that’s already testing the neckline on the 1-hour chart. Zooming out to the daily time frame reveals that the pair is testing a long-term area of interest at the 88.00-88.50 levels, which seems to be keeping gains in check for the time being. Loonie traders seem to be waiting for the release of U.S. oil inventories data from the American Petroleum Institute and the Energy Information Administration this week, predicting that stockpiles likely increased due to the pickup in U.S. rig counts recently. After all, drillers seem eager to resume operations now that the commodity price has somewhat recovered in anticipation of OPEC output cuts for the next six months. However, there still seems to be some degree of doubt that all the OPEC nations would honor their pledge to trim production levels and market watchers are also worried that the rebound in U.S. oil supply could overshadow the impact of OPEC cuts. Crude oil itself has had trouble sustaining its gains so it wouldn’t be much of a surprise if the positively-correlated Loonie is dragged down as well. On the flip side, the Japanese yen seems to be taking advantage of the reduction in dollar demand following the downbeat NFP release, which led dollar bulls to pare expectations of three Fed rate hikes this year. Besides, the BOJ gave a pretty upbeat outlook for the Japanese economy in their December policy statement by upgrading their GDP estimates. What’s keeping me from entering sell stop orders for now is the stronger than expected data blitz from Canada last Friday, as the jobs report, Ivey PMI, and trade balance all surpassed estimates. This could pave the way for an upbeat BOC interest rate statement next week, possibly invalidating CAD/JPY’s double top formation. Don’t forget to check out our risk disclosure if you’re trading this one, too!